The face of comic books is changing. This fall in Detroit, two new conventions will bring the work of women and people of color to the forefront of the industry. First up in September, MECCAcon, the Midwest Ethnic Convention for Comics and Arts, returns for its second year in Detroit. 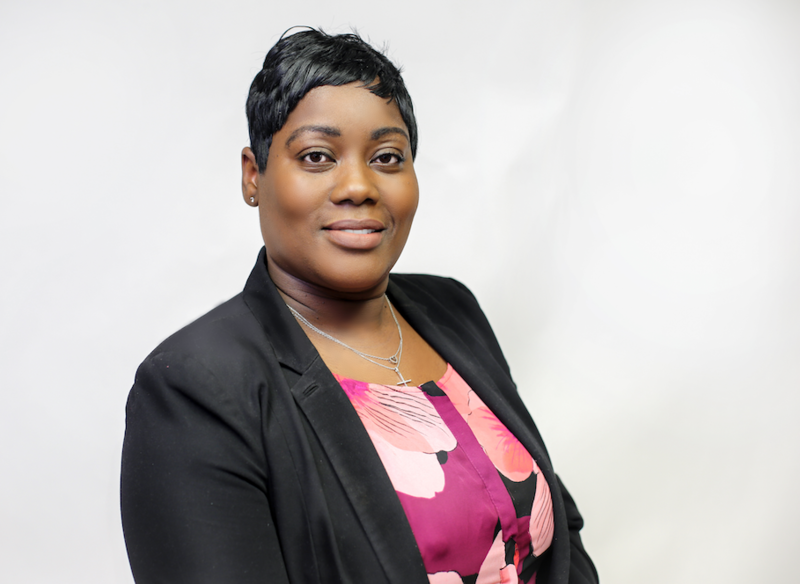 Organizer Maia Crown Williams has a clear vision for what she hopes to achieve now and in the future with MECCAcon. 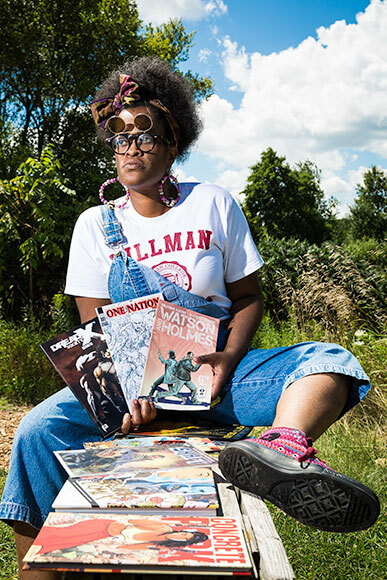 With a long history of helping organize other Detroit-area comic cons, Williams says it was time to branch off on her own and create an event that really drew on Detroit talent. "Detroit is very big on art, very nationally and globally known. So I wanted it to be more than just comic books; art, and music, and film," she says. And it is: the schedule includes a DJ performance, a concert, and an indie film festival curated by award-winning filmmaker Ka'ramuu Kush. She also wanted to see a convention atmosphere that was welcoming to everyone, especially families, and highly inclusive of creators of color and women. Maia Crown Williams, organizer of MECCAcon"It is my mission to make sure that children know that all 'heroes' do not look the same, that many actually look just like them," says Williams. A young person walking down the aisles at MECCAcon is going to get that message loud and clear, thanks to a long lineup of artists and creators of color making independent comics with characters of color. One of those creators is Jiba Molei Anderson, a Detroit-born artist and writer now living and working in Chicago. He's the creator behind "The Horsemen" and the CEO of Griot Enterprises, and says he was on board with MECCAcon right away. He'll also be running a panel on the "Complexion of Comics," talking about what creators of color in the industry are doing right now. "MECCAcon is a wonderful thing. It's something Detroit needs; it's something the independent comic book scene needs; and something that independent creators of color need as well," says Anderson. While there's been a lot of press in the comic book world about the lack of creators of color working in comics, that question usually focuses on the big companies, DC and Marvel. Once you get down to the independent scene, Anderson says, there's absolutely no lack at all. "There's an erroneous complaint about hiring creators of color and writers of color. The argument always is, 'We can't find those people, do they even exist?'" he says. "We've always been around. In the last 30 years there's been a huge upswell in creators of color." Yet, at a lot of comic cons, if there's even a discussion about people of color in comics, it's often just one lonely person on a panel. 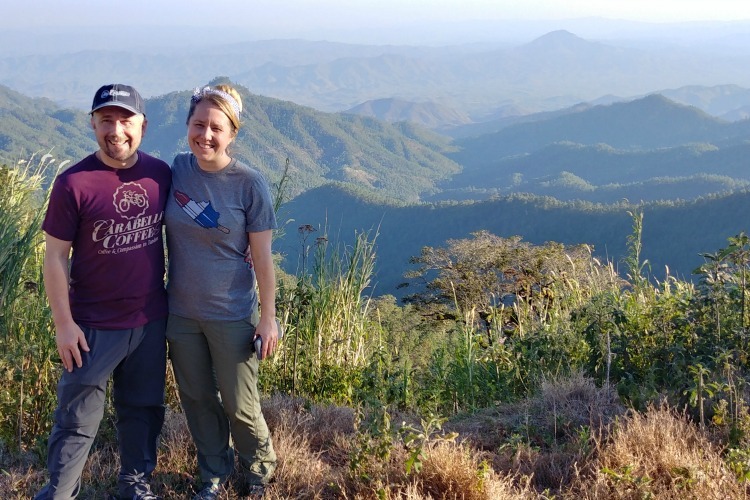 "What cons like MECCACon do is shine a spotlight on this work that's being done on the fringes -- and some of these people on the fringes are doing amazing work, fantastic work," says Anderson. "We've been here, we're staying here, and you will recognize us -- we will not be denied." "The future is actually quite bright -- really, it's not even the future. 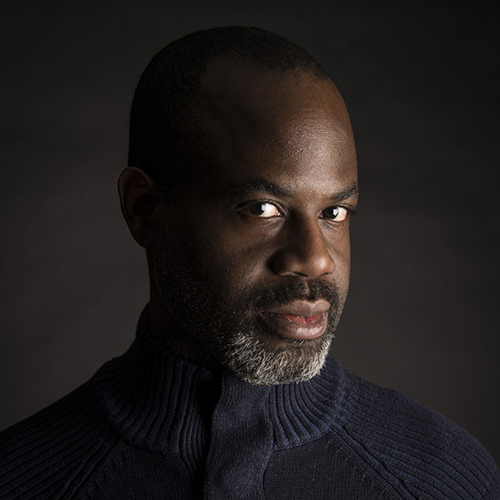 It's our past, and it's our present," Anderson says, nodding to three influential 1990s creative forces in black comics: Brother Man, Milestone Media, and Tribe, by Detroit native Todd Johnson. "Those three were huge, and really influenced me personally to create Griot Enterprises and The Horsemen. It just spawned a whole generation of creators, and now, with all those people already creating comics -- the future looks very bright," he says. Planned for November in Dearborn, the second new convention coming to town is ComiqueCon. It has a different mission than MECCAcon, but it's still about uncovering lesser-heard voices in comics -- all the artists and creators participating in ComiqueCon are women. ComiqueCon organizer Chelsea Liddy says that's on purpose, to highlight and address the issue of gender inequality in comics. 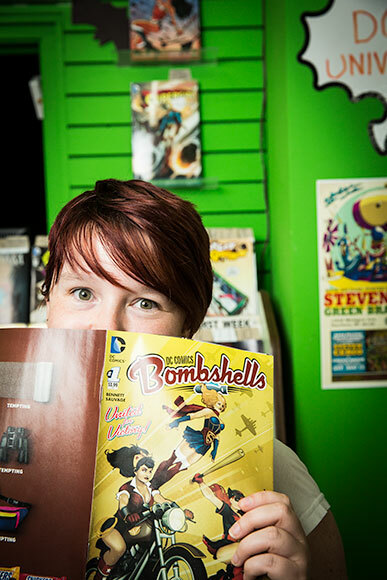 ComiqueCon organizer Chelsea Liddy"I kept seeing 'women in comics' panels at major conventions and I just started thinking that what women had to say about working in comics could take up an entire convention. I did a little research and discovered there is no comic convention dedicated to solely promoting women in comics. There are awesome things happening, like GeekGirlCon in Seattle, but no conventions specifically for women in comics," she says. "Also, we're still so behind when it comes to gender equality in the comic arts -- if you look at most conventions' exhibitors, they're still heavily skewed towards men." She enlisted the help of local arts and comics folks to get ComiqueCon going, and drew the attention of women creators across comics, from the high-profile to the local-indie, for a crowdfunding campaign to get the convention started. 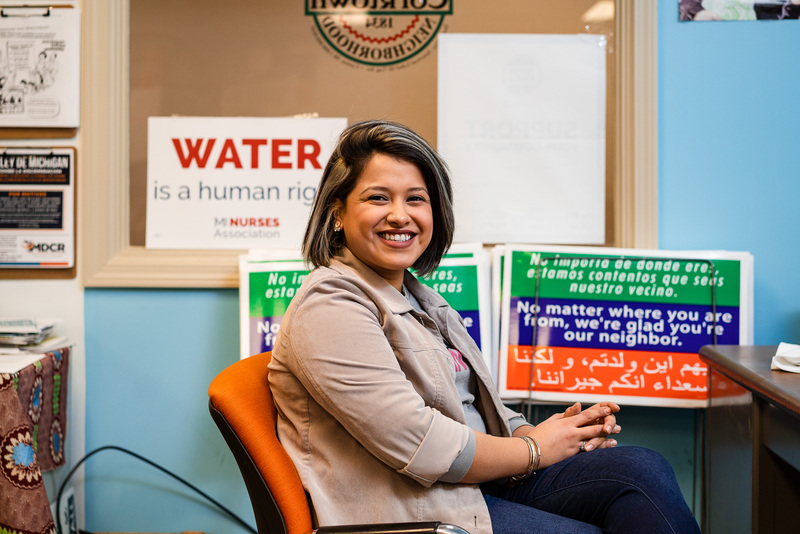 Dearborn was chosen as the location because of its growing arts scene and Liddy's connection to the Arab American National Museum (she works for its parent organization, ACCESS) and its event space. Around the same time as ComiqueCon, the Artspace artist lofts in the former Dearborn City Hall should be finished, an exciting development for local artists and creators, says Liddy. 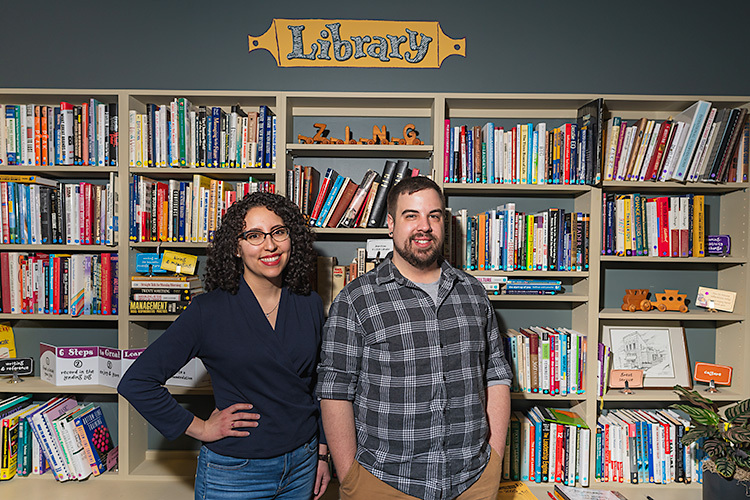 One of the other local partners who stepped up was Green Brain Comics in Dearborn, owned by Katie and Dan Merritt, who have worked on many initiatives to highlight women in comics, and to celebrate women comic readers, says Liddy. Green Brain is providing work space for the organizers, helping get a retailer-exclusive variant cover going for a fundraiser, and helping out with advice wherever they can. "Throughout its history our shop has always supported indie comics. We strongly believe that there is more to comics than mainstream superhero books and that a wider comics reading audience can be achieved by supporting a wider range of books," says Katie Merritt. Like creators of color, women creators have been making their own paths in comics for a long time, and Merritt says these days, social media and online publishing are connecting those formerly-hard-to-find creators to fans more easily. "Detroit has hordes of comic fans who love the diversity that indie comics provide and love attending shows that showcase it," she says. "While female comic creators have been around since comics have been around, now more than ever they have been garnering a lot of attention through social media, and fans want to meet and interact with the creators of books they love." "Comics positivity and diversity is on the rise, and I am proud to see Detroit on the leading edge of that movement," says Merritt. Liddy says a couple of things make Detroit a perfect home to new artistic and entrepreneurial endeavors like a comic con. "I think that Detroit has always been a very entrepreneurial place. It's a super diverse region and there is a ton of talent in the area. We're a very DIY place, we can be pretty open-minded, and there are a lot of people willing to get their hands dirty. I'm really excited about all the indie cons happening in the area, including Kids Read Comics and MECCAcon," she says. MECCAcon takes place this year at a split venue: a performance night and concert showcasing music will take place Friday, Sept. 18, at the MBAD African Bead Museum in Detroit, and the comic convention will take place throughout the day on Saturday, Sept. 19, at Detroit Public Library. Tickets are $6 and available online here. The guest lineup includes Shawn Alleyne, Jason Reeves, N. Steven Harris, Anthony Piper, Regine Sawyer, Delia Gable, Sheena Howard, Jiba Anderson, the Black Science Fiction Society and Bill Campbell. Workshops and panels include sessions on storytelling, comic book writing, illustration, dynamic anatomy, and steampunk. ComiqueCon takes place Nov. 7 at the Arab American National Museum in Dearborn. Guests include Leyla Abdelrazaq, Nancy A. Collins, Marguerite Dabaie, Alex de Campi, Nicole Georges, Mikki Kendall, Mairghread Scott, and Marguerite Sauvage. More information can be found on the event's website. This year is clearly only the beginning for the organizers of both cons. "I really hope for a successful first year, which will determine if this will be an annual undertaking. It's wait and see, as far as I'm concerned -- but I expect an amazing first show. We're going to try our best to make that happen," says Liddy. "I think that when we work together, we can really make change." Williams envisions MECCAcon becoming a major comic con in Detroit and wants to extend the events to four days in the future. The long-term goal, however, is that the event become a mainstay of the comics culture. "I want people to give more recognition to black comics and ethnic-oriented comics, and eventually my goal is that we don't have to call it that anymore -- we can just call it comics," she says. Kim Eggleston is a freelance writer and editor in Marquette, Michigan. Follow her on Twitter @magdalen13. All photos by David Lewinski Photography. Photo of Jiba Molei Anderson courtesy of Jiba Molei Anderson.